Radio changed the world. This electronic marvel bought drama, news and music into millions of lounge rooms and made stars superstars. 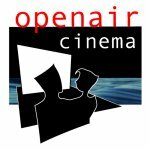 People no longer needed to dress up and travel to major theatres. They could gather as a family and listen as the magic of entertainment was reproduced by the best piece of furniture in the house. 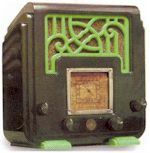 The earliest Australian radios were produced around 1924. These were like a bread box with a round speaker placed on top or beside the radio. Due to their shape, they are now often referred to as 'coffin radios'. They were popular until about 1928. Australia had imported radios too, especially from England and the United States. By the early 1930s, two new cabinet styles dominated. 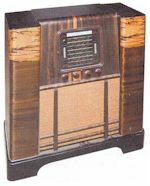 Mantel or table radios had tall Bakelite cases, now often nicknamed 'tombstone'. 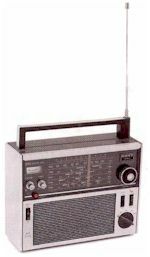 The other type was the console, a tall, floor-standing large radio. Most boasted fine decorative wood style, produced by leading furniture companies. Both types were often a showpiece - the best furniture in the house. Often the same chassis was employed in consoles as in the much smaller mantel units, but the sound was superior, due to the larger 10- or 12-inch speaker and the cabinet size. The tone from these old valve radios, especially the consoles, was mellow and woody. Technically the sound was easy on the ears as it was low fidelity, without harsh highs. Recordings were made to best reproduce on this equipment, with popular crooners and melodious music. Just a few consoles were released with a wind-up or electric record turntable, but this was unusual. Console radios continued to be produced until the late 1940s, when the radiogram became widely available. Australia developed brands like Astor, AWA, Aristone and local production of international giants like Philips and HMV. There were also hundreds of backyard constructors, working in garages or small factories, plus top quality kits, so collectors are never surprised at finding an unknown brand. Designs were influenced by the best overseas trends and some Australian models matched the finest available anywhere. Radio developed at a rapid pace during World War II, bringing improvements like higher sensitivity. New ideas emerged, including Germany's invention of tape for recording. A few collectors specialise in military radio. Tasma - 50s plastic case. After the War, a new era of exciting development occurred. 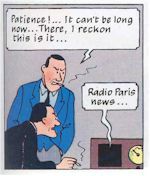 The few radio designers who had survived the disruption of war looked to improved techniques and highly competitive production. More domestic radios had short wave, as people wanted to hear news in a troubled world and immigrants could listen to their homeland. Plastic was used for cases and valve portables produced for music at picnics or anywhere. Nothing can compare to the impact of the transistor radio, introduced in December 1954. Early transistor radios relied on the same construction techniques as valve portables, like a steel chassis and open-vane tuning gangs. 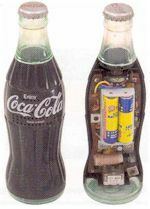 In fact it can be hard to pick the differences between the last valve radio and the equivalent model first transistor radio. Soon the circuits and parts changed to fully take advantage of the tiny transistor, with many novelty and compact radio designs. Teen culture especially changed with transistors. Radio programs were aimed squarely at them and children no longer had to ask their parent's permission to turn on the radiogram, nor were they constantly asked to turn the volume down. They could listen to rock and hang out with their fiends anywhere. 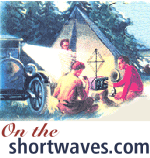 With radios, it pays to become an expert. Educating yourself with value and scarcity information ensures fair purchase prices are paid. It is also an advantage to have electrical knowledge or the names of radio restorers, so the radio can be played successfully. 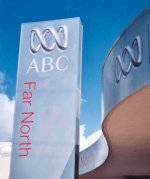 Some Historical Radio Society of Australia (HRSA) members rebuild radios and there are specialty vintage radio stores in most capitals. Nearly all radios can be dated by the 'Arts and P' transfer on the chassis. A few collectors believe radios should not be repaired as newer parts detract from the originality. Many more consider that careful restoration with some new internal substitute parts is acceptable. Nearly all radios can be made to work again. 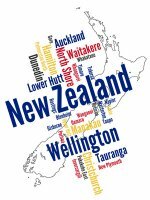 There's a good supply of parts in Australia and around the world. Parts are either salvaged from wrecks, reproduced, new old stock or brand new parts made to meet the old specs. An Internet search under key words like 'valve' will show some sources. 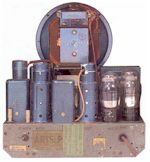 There are stores dedicated to old radios, while the HRSA exchanges information and parts between members, including circuits for nearly all radios. Valves can be tested in valve testers. Finding a replacement valve in an original box does not guarantee a perfect replacement, as technicians often put the dud in the box the replacement valve came in. Why would they put a fairly faulty valve in a new box? If the old valve was not totally dead, it could be used quickly to plug into another radio with no sound. If the sound returned (albeit at a low volume), the technician knew he could go to the trouble of ordering a new one. Seller's representations can be misleading too, with uninformed descriptions like 'it lights up, but only hums - probably only needs a valve' or 'should be an easy repair'. In reality this can mean they do not have a clue, they tried it and smoke poured out, or they have been trying to make it go for years. It can even mean parts are missing. Keep in mind if you cannot pick up a radio yourself, they do not travel well in the post or by couriers. Valuation is less exacting than for other collectibles. This is due to the thousands of varieties, vast number of components and the condition. 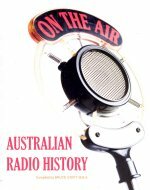 It is estimated there were at least 300 Australian radio manufacturers in the 1930s, each with a range of models. Then there were AC, DC and battery types. 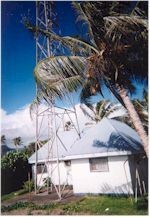 Battery radios were sold extensively, as mains power was not supplied to many farms in Australia. If a novice collector intends to have a radio that can be played occasionally, then look for a 24O-volt mains radio with the current three pin mains plug. Also check inside for a very clean chassis. Factors influencing value include the colour, intentional contrasting flecks in the colour, cracks, scratches on the dial glass, the availability of spares for this model or how rare it is. Is it intact, is it working, is the radio a classic attractive shape or even is it the model you had at home as a child? Very few experienced collectors can give a valuation over the telephone, due to the huge variety and variation in condition. In fact few give accurate valuations even on inspection, as the actual prices paid vary so much. Cracks in the case, missing parts and other flaws can lessen value considerably. Most flaws including cracks can be repaired, but repairs can cost more than the value. 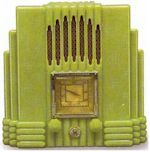 Prices noted for radios in very good condition broadly are: coffin style $150 to $1,000, early 'tombstone' mantel $60 to $1,000 or more, consoles $100 to $900, late 30s up to late 50s mantels $10 to $600, small transistor radios $10 to $100, large multi-band transistor radios $40 to $450 and finally radiograms fetch from $0 to $300. Many radiograms are given away, as few people have space for them. This is unfortunate, as they are often excellent radios. Safety is important for the radio and the owner. If you have a radio that is over 30 to 40 years old, do not turn it on 'to see if it works'. This can instantly destroy the radio, due to shorted parts, especially the capacitors (also called condensers). The radio should be checked by an expert and out of spec parts replaced. This is sometimes called recapping. 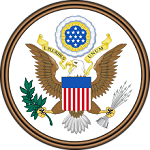 Most HRSA members have seen examples of major damage. In fact, electrical authorities require that any second-hand electrical appliances such radios are checked by a 'competent person' before use. There are other hazards too, like asbestos heat insulation in a limited number of radios, chassis wired to one side of the electrical mains (hot chassis), plus high voltages and frayed or perished electrical leads. The excitement is in the hunt for good examples and restoring radios from poor condition to as new. There is also social enjoyment, reliving memories of radio from another era and meeting many other collectors. Once you start collecting radios it can become a glorious obsession. Kevin Poulter of Melbourne, Australia is a commercial photographer, freelance writer and vintage radio fan with many years of experience in the Australian electronics industry. 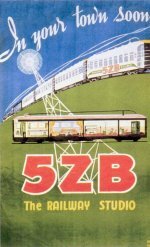 He is a committee member of the Historical Radio Society of Australia. This article was originally published in the May-June 2004 issue of 'Collectables Trader' magazine and is reprinted with permission of the publishers. 'Collectables Trader' is one of a series of Australian magazines featuring arts, antiques and collectables featured at The World of Antiques and Arts. The Art Deco Australian Vintage Wireless Collection of twelve superbly detailed gold medallions. Only 300 sets made. Many already sold to Australian collectors.